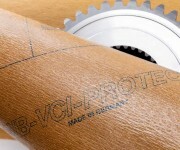 WB-VCI-PROTECT® paper developed by W.Bosch+Co. 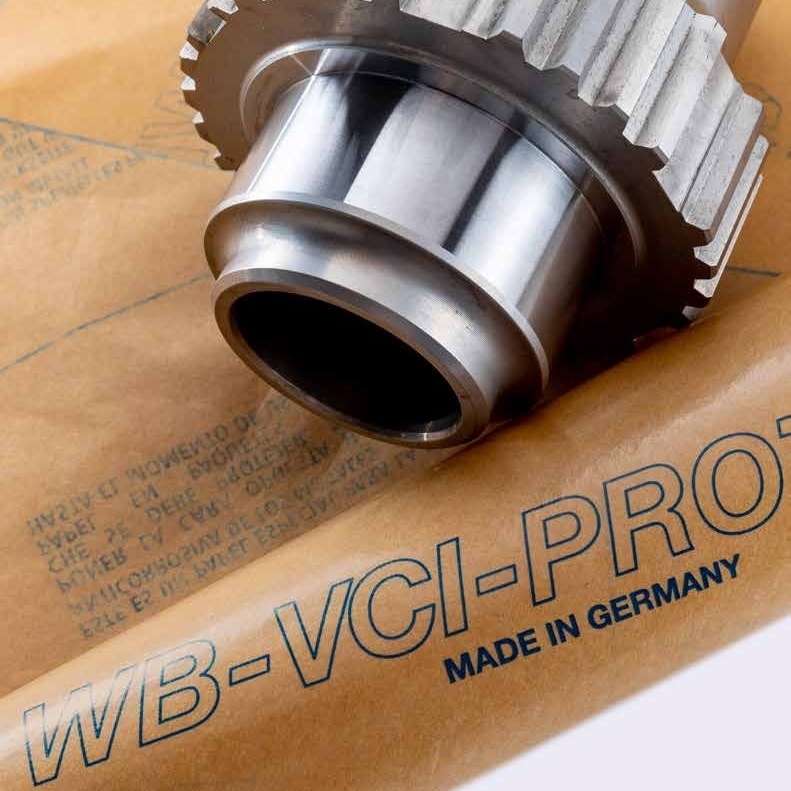 is always the best solution when it comes to providing safe and effective protection for components, small metal workpieces and tools from corrosion, environmental influences and pollutants. A good combination for a range of applications. 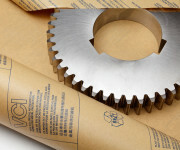 VCI paper supplied by W.Bosch+Co. comes with special combinations of VCI inhibitors, making it ideal for the widest range of protective needs. Easy to use in all equipments. 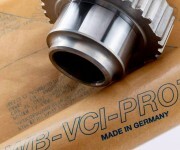 The VCI paper made by W.Bosch+Co. 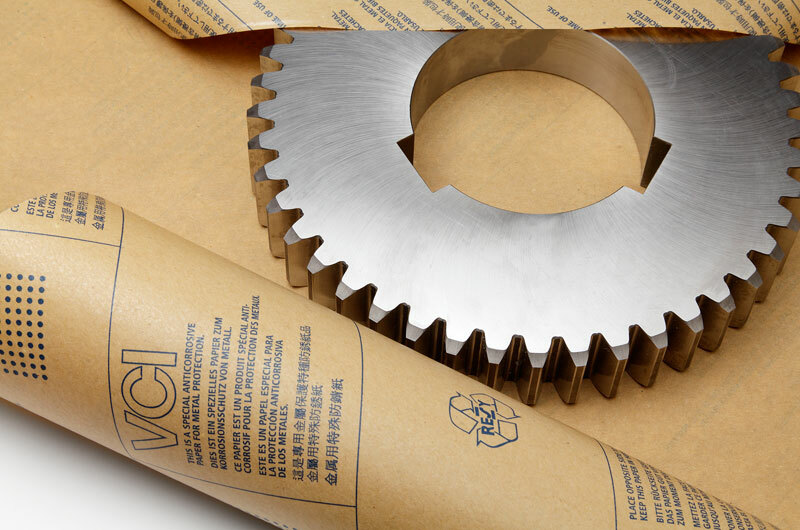 is available on reels or as individual pieces, can be used in the same way as commercially available packaging paper, and is ideal for automatic packaging on all conventional standard machines. The right paper for every need. 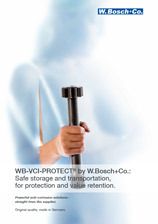 WB-VCI-PROTECT® paper by W.Bosch+Co. 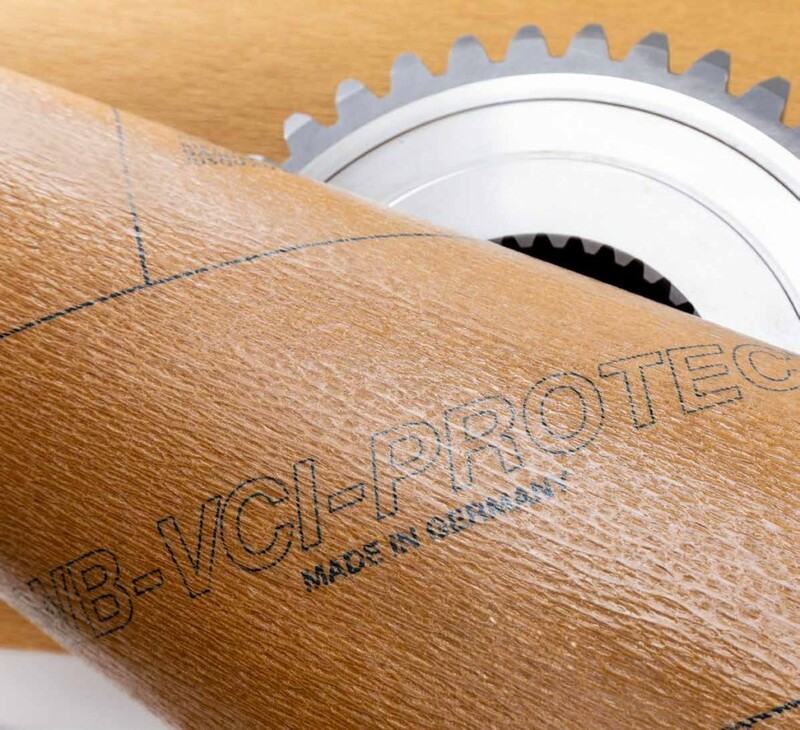 is available in a range of finishes depending on the type of metal requiring protection and the intended use – with or without polyethylene coating, as cardboard, with or without scrim reinforcement or as crepe paper. Up to a width of 2,300 mm!